In Romania, a translation of Historia literatury polskiej (The History of Polish Literature) was published. The book was translated by Constantin Geambaşu. 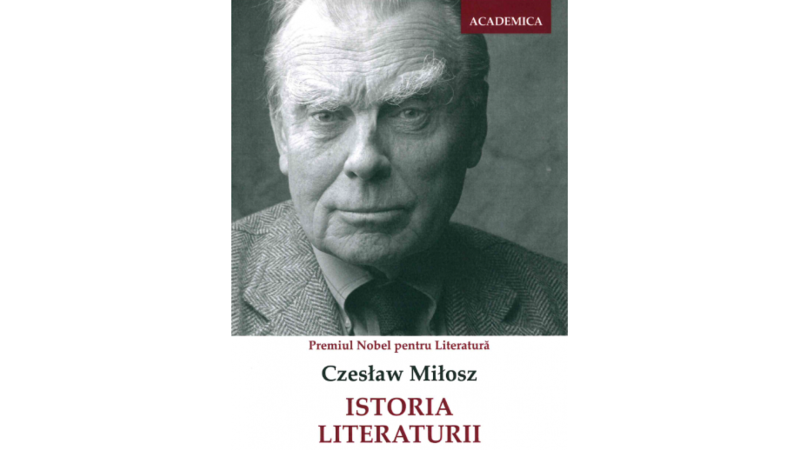 The publication of the work by Czesław Miłosz was supported by the Book Institute as part of the ©POLAND Translation Programme. Istoria literaturii polone, which is the title of the Romanian edition of Milosz's work, was published at the end of last year by Ratio et Revelatio publishing house in Oradea. The History of Polish Literature is a textbook on the history of Polish literature written by Czesław Miłosz with foreign readers in mind and published by this Nobel Prize winner in exile in the United States in 1969. The translator of the book, Constantin Geambaşu, is a one-man-institution. He has translated about fifty Polish books which have been published by the most prestigious Romanian publishing houses. His translation of Cyprian Norwid's poems has recently been published. In 2016, the Book Institute awarded Geambaşu the prestigious Transatlantic Award, which is granted to the most outstanding translators of Polish literature into foreign languages.